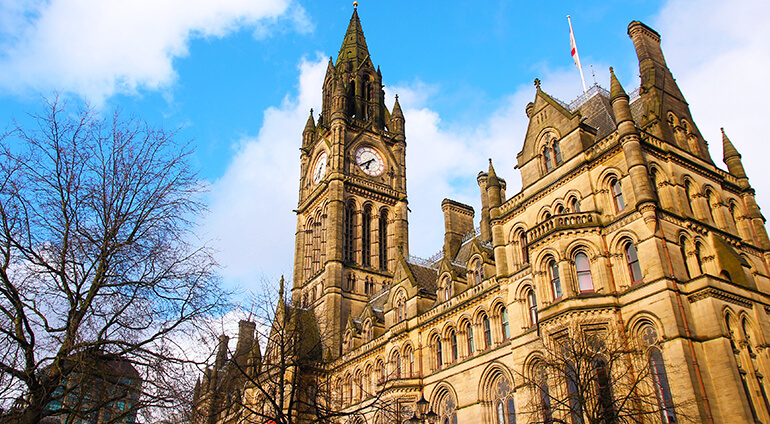 Manchester is one of the UK’s most cultural cities, and has plenty to offer when it comes to museums, galleries, arts venues and historic buildings. There are lots of free museums throughout the city. Some of the more popular museums to visit include The Museum of Science and Industry, the Manchester Museum, the People’s History Museum and the Imperial War Museum North. Art enthusiasts will appreciate the abundance of art galleries, including The Lowry, and iconic gallery showcasing the work of LS Lowry and Manchester Art Gallery. The Royal Exchange Theatre is the place to go for exhibitions, live music events and some of Manchester’s best theatre shows. When it comes to eating and drinking, Manchester doesn’t disappoint. There are hundreds of different restaurants to try, serving all sorts of different cuisines. There’s the well-known curries at the Rusholme Curry Mile, pubs serving local beer and charming cafes in the Northern Quarter. There are around 30 independent breweries in Manchester and a select few provide guided tours.